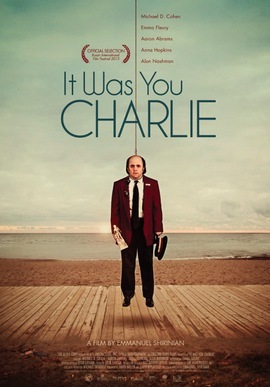 Written and directed by Emmanuel Shirinian, It Was You Charlie had its U.S. première at San Jose’s Cinequest 2014. Borrowing the title from a line spoken by Marlon Brando in On the Waterfront (1954), Charlie finds doorman/sculptor Abner Roth (Michael D. Cohen) failing even at suicide. Abner and his brother Tom (Aaron Abrams) have recited bits from the film since they were kids. Problem is, when tall, good-looking Tom moves in on the girl Abner had in his sights, the fraternal feuding becomes real. Not surprisingly, Madeleine (Anna Hopkins) never thought of the little man romantically. Abner not only feels betrayed by Tom, he’s also consumed by guilt over a fatal accident years earlier. Charlie becomes less like On the Waterfront and more like It’s a Wonderful Life. 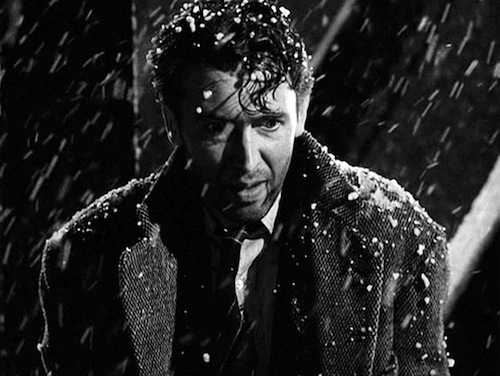 As with the despairing George Bailey, mysterious things start happening to Abner. A young female cab driver named Zoe (Emma Fleury) shows up and takes to him. It’s no antidote for his loneliness. He finds it unsettling. Deep down, he knows who she is but won’t admit the truth. Time shifts and fantasy sequences are well-integrated into Shirinian’s dark comedy and bring it home to a satisfying conclusion. Abner’s nobility despite his circumstances keeps us rooting for him. An ACTRA nominee, Cohen leads a strong cast in this Canadian production featuring some of its finest talent. Abrams has a leading man’s appeal and confidence. The lovely Hopkins is sympathetic even as she breaks the heart of our diminutive hero. Emma Fleury plays Zoe with humor and grace. She also sings a song that she composed especially for the film. It’s a pivotal moment. When he hears her lullaby, Abner grasps their deep connection and slowly begins to heal. It Was You Charlie. Produced by Darren Portelli and Spiral Entertainment Ltd.